DC is returning to one of its most popular recent themes for its September variant covers. The Bombshells are back! 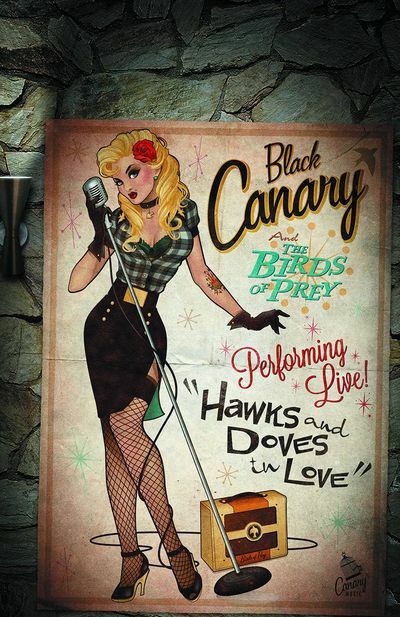 These DC Bombshell variant covers feature your favorite characters with the art and flair of 1950s pin-ups, yet this new round also features a number of men and a heavily stylized design for the images. The number of these covers, which is featured on 21 different comics, is a little smaller than previous months. A number of comics are excluded from this list, most notably Batgirl, which is likely missing after the controversy around the Joker variant cover. These Bombshell variant covers are being used to promote the new Bombshell statues that DC are releasing, which can bring the popular designs to your bookshelf or desk.